These 9 stocks come from different industries but share two things in common: They're well off all-time highs, and they won't be for long. The stock market might be trading around all-time highs — and it even might look like it’ll go even higher — but that doesn’t mean every last stock is trading with the same sentiment. In fact, a number of industries and individual stocks are trading at recession-esque multiples. Those are the kinds of places that value investors should be watching like a hawk for new stocks to buy. In fact, if you think (like I do) that the broader markets are going higher, you don’t even need to necessarily limit yourself to true bargains right now. A number of stocks aren’t necessarily cheap, but they are well off their respective highs, and these relative bargains are going to be the kinds of stocks that drive the next leg higher. Here are nine stocks to buy, in no particular order, that fit this bill and that look poised to outperform the market for at least the rest of the year. What do investors start doing when multiples and valuations get stretched? They start looking for safety in value and dividends. On that front, there is no better choice than General Motors Company (NYSE:GM). While the S&P 500 is quickly trending towards a 20x earnings multiple, GM stock — which is off by nearly 10% year-to-date — trades at a ludicrous 5 times forward earnings. At the very least, GM’s multiple screams safety to worried investors and suggests that downside is limited. Couple that with GM’s 5% yield, and you shouldn’t be surprised to see investors gravitate toward the stock in the weeks and months to come. 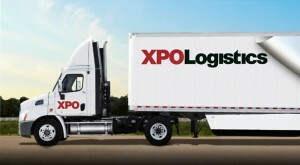 XPO Logistics (NYSE:XPO) has been on a tear since reporting earnings last Thursday, up more than 25%. That said, XPO still is another 40% away from all-time highs set last year, and prior to the report, XPO was trading at even lower multiples to future earnings than GM. However, no one trusted that those earnings expectations would be met, mainly because XPO had never reported a profit in the Bradley Jacobs era. Now that XPO blew analyst expectations out the water by reporting a 35-cent-per-share profit in Q2, it can finally be valued like a profitable company. Thus, XPO is very likely to be one of the best performing stocks in the entire market to close 2016. Much like XPO, Apple Inc. (NASDAQ:AAPL) had a solid quarter to reverse the negative sentiment that had plagued its stock since 2015. Yes, Apple’s revenue declined 14.5% in its most recent quarter. However, that was good enough to beat very low expectations. And the fact is that expectations still are low for future quarters, and with Apple moving to a next-generation iPhone launch, comps will be favorable to deliver big growth in the year ahead. Combined with a 2% yield, massive buybacks and a stock trading at 12 times forward earnings, AAPL looks poised to surge much higher. American International Group Inc (NYSE:AIG) has moved closer to its previous high over the last week, but still remains nearly 10% off. However, AIG is loaded with an aggressive stock buyback plan, and there are countless reasons why AIG stock is perfect for value investors. This is a stock that trades at just 70% of its book value per share in an insurance segment that is strengthening. Given its recent momentum coupled with its attractive valuation, there is little doubt that AIG stock is one to outperform the market in the foreseeable future. Bank of America Corp (NYSE:BAC) is 16% off its 52-week high (and, of course, it’s a fraction of its $50-plus days before the Great Recession). Yet, BAC stock has shown some increasingly strong momentum over the past month, rising 15% after strong earnings and a much improved overall outlook. While AIG seems cheap, BofA may be the cheapest big stock in the market, trading at just 65% of its book value per share. Bank of America has now passed the infamous stress test and is able to buy back stock and pay a fair dividend. Therefore, BAC stock has a good shot to trend upward to levels of its big bank competitors, many of which exceed their book value per share. Michael Kors Holdings Ltd (NYSE:KORS) does not have the double-digit comp growth it once had. However, there is no question that KORS is still a solid company, far better than the alternatives in its space. While Coach Inc (NYSE:COH) has had several years of double digit revenue declines in the past, KORS has always grown larger year after year. Even this year and next, KORS is expected to expand. Therefore, it is deserving of a higher multiple than 10 times forward earnings. In fact, it would have to jump 50% just to trade at a multiple that’s equal to the entire retail industry. At $50, KORS has had a decent year with gains of 25%, but it’s still more than 15% from its current 52-week high. Expect Michael Kors to keep its strong momentum. For nearly a year I have said that Gilead Sciences, Inc. (NASDAQ:GILD) is dead money. I’ve been right. 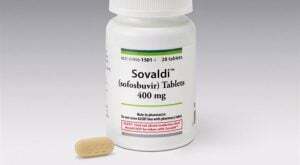 With sales of Gilead’s blockbuster Hepatitis C (HCV) franchise finally peaked, and now on the downswing, it might not seem like a good time to buy GILD stock. However, Gilead trades at 7 times earnings, pays a 2%-plus yield and buys back stock aggressively. In other words, it looks like a bargain hunter’s dream in an otherwise pricey market. Not to mention, the HCV franchise may be declining, but GILD’s year-over-year revenue losses the next two years are in single digits. Hence, it is not an abrupt decline, thereby adding more reasons why GILD is deserving of a higher multiple. The Kroger Co (NYSE:KR) has lost 15% of its value the past month — and that might be one of the most unjust losses in the entire market this year. The big concern is that Wal-Mart Stores, Inc. (NYSE:WMT) is causing increased problems for Kroger. After all, Walmart finally had a decent quarter. However, don’t forget that Kroger is the quintessential poster-boy for consistency, with more than a decade of same-store sales growth, whereas Walmart is the prime example of a fickle company. With KR expected to grow more than 5% in each of the next two years, it is far too good of a company to trade at 13 times forward earnings. Given that supermarket sales are a very secular industry, Kroger is sure to become more appealing in the months ahead regardless of what happens in the market. While BP plc (ADR) (BP) has regained much of its loss from earlier, it is still down 10% from its 52-week high and down nearly 40% from where it traded in mid-2014. Yes, crude oil prices are just a shade of what they used to be. However, BP is the perfect example of a company that adapts to its surrounding and is now better prepared for the future than ever before. Since 2014, BP has cut $10 billion from its capital expenditures budget and can keep capex at current levels without affecting growth. As a result, BP needs oil prices at just $55 per barrel for full dividend coverage, which is impressive given that BP stock pays a 7% yield. That yield and its safety makes BP very attractive in times like these. As of this writing, Brian Nichols was long AAPL, BP and XPO. 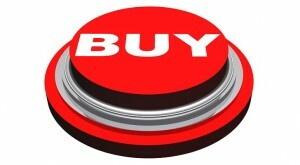 Article printed from InvestorPlace Media, https://investorplace.com/2016/08/9-stocks-to-buy-sprint/.